So, I decided this New Year's Eve that I wanted something atypical. No glitter (gasp!) and bright! I've also been wanting to give a go at some negative space (letting the unpainted nail show through) nail art. 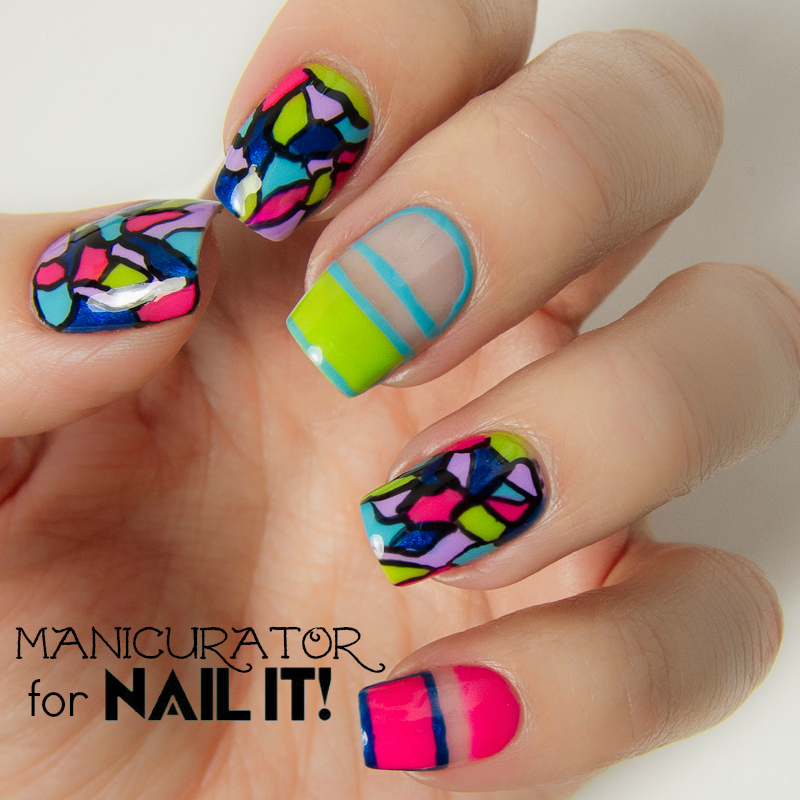 This is what I came up with, a design created for Nail It! Magazine and a mini tutorial (you can view on their site, nailitmag.com) to go along with it. I used polishes from Kiss Products: Kiss Nail Artist Paint and Stencil Kit, Kiss Nail Artist Paints and Tip Guides. 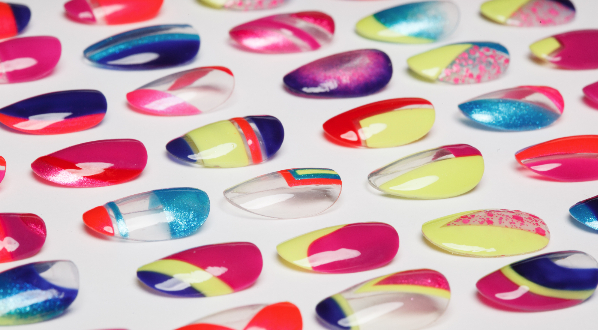 Learn all about Kiss products, including nails, on their website and follow them on facebook. 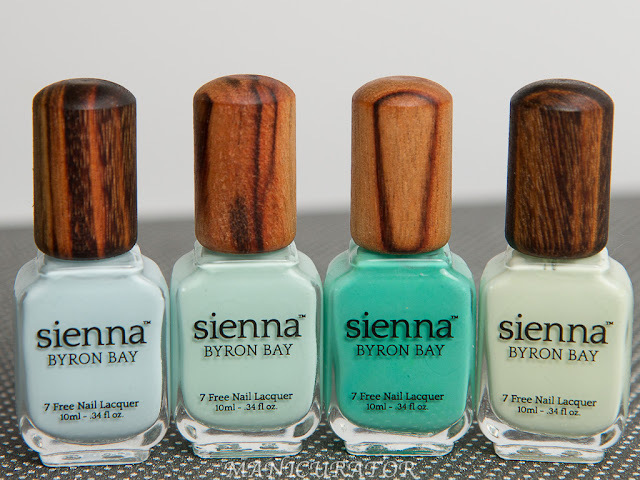 Each set comes with three different shades of stripers that worked perfectly for this design. I was actually impressed with how easy they were to work with and how saturated the colors are. The kits also include stencils and tape that I haven't used yet. This design is all freehanded. I reeeeally love the way this turned out, I did both hands even!! You can see them both on my Instagram accout @victoria_manicurator. I decided to be a rebel and NOT take these off to keep swatchin. That's right, I wore these for days and days :D What do you think? Cheerful, right? Happy New Year to you! Hope it's a great year for you, mine is off to a rough start, but I intend to make it a great one despite that. This is just beautiful. 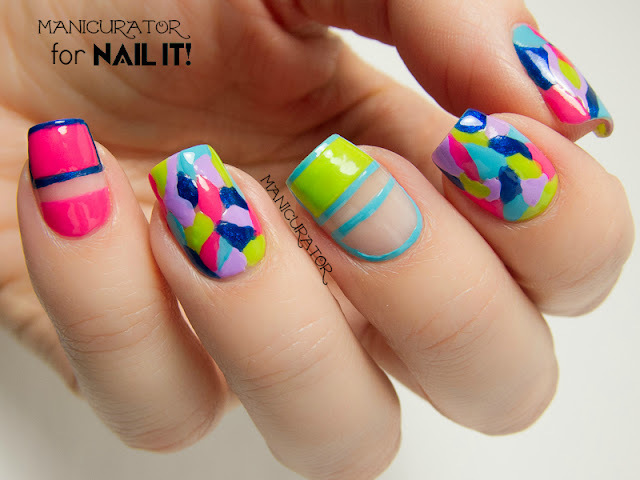 I'm always so impressed by your nail art! These are awesome! Lovely look! Like this! And I agree... Like both versions. Happy NewYear to you, too! Love it! The colors look amazing together! Absolutely, positively, jaw dropping gorgeous!!! I soooo want to try to recreate this (with your permission of course ;)) your freehand skills are perfection. I admire your blog and adore your designs and beautiful nails. Nail It is very lucky to have you featured in their magazine. So gorgeous and unbelievable! I cannot even imagine how long this took. Amazing job!! This manicure is going on the top of my 2014 list! It is amazing! Congrats on being in the magazine! 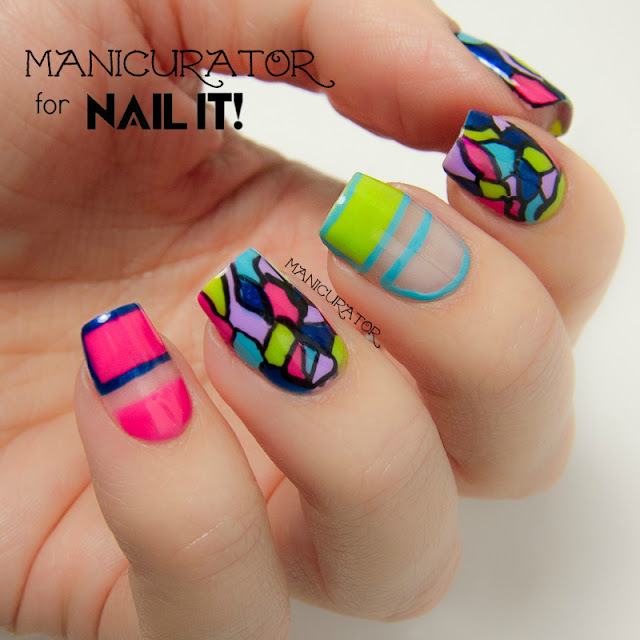 This mani is gorgeous... I like it with and without the black outline!